Powerpoint of September ISLN Network Update The video clips used at our network meeting are embedded in the PowerPoint on slide 16. There is also a video clip at the end of the presentation about teaching in the 21st Century. This document prints very nicely in color on white cardstock. 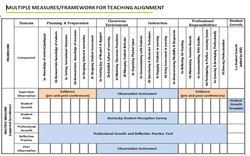 This shows the year at a glance targets and goals for the ISLN, ELA, and Math Teacher Leader Networks. Teaching scenarios used in the ISLN meeting today. Handout used today during Carol Franks presentation on the TPGES. 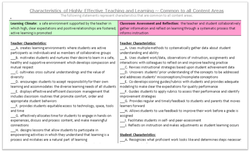 This is the introduction to the TPGES framework Carol Franks shared at the September ISLN meeting. Matrix of multiple measures from Carol Franks' presentation. Here is the TPGES Framework document.